The latest update to the iOS Photomyne app is here. Aside from general bug fixes and performance improvments, there's one particular feature we'd like to highlight as part of this update. You'll love it! Yes, that's right. That dull monochromatic photo of your great-grandparents in the 20s? Turn it into the jazzy colorful memory it really was! 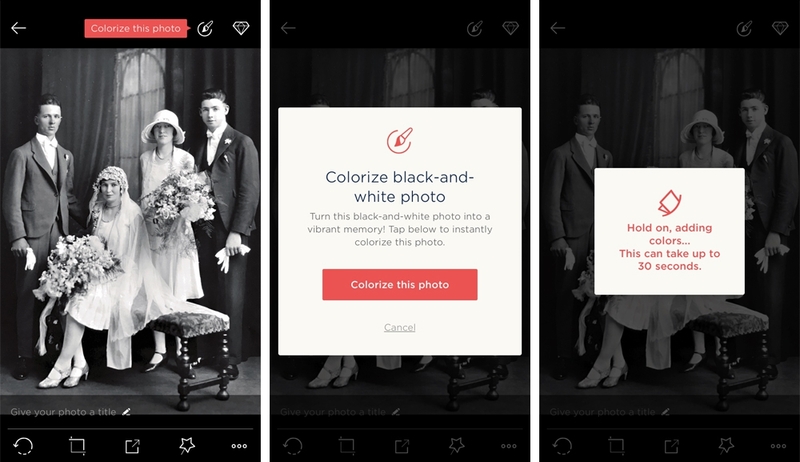 To colorize a photograph, go to that photo in the album (full photo view). You'll see the red banner highlighting the colorization feature. 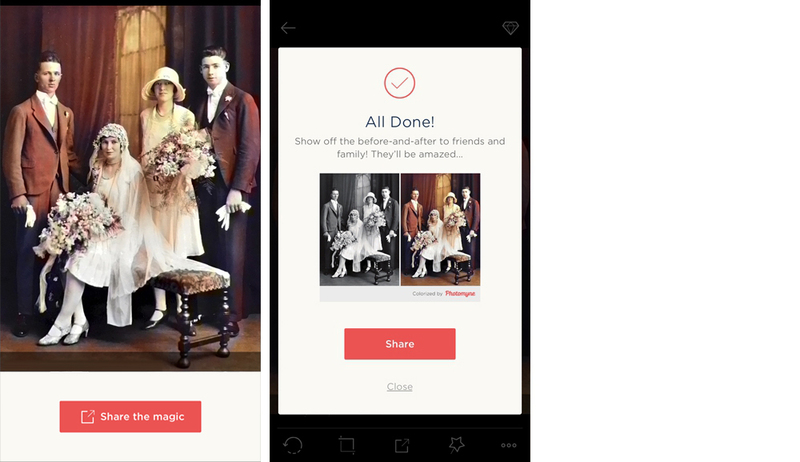 Now your old photo memories can get even more vivid and lively. Nostalgia was never this alive and kicking! This is just an update. Learn what else you can do with the app - discover more photo scanning features.